2017-11-09. Published in category Articles. Music to me is a wonderful catalyst, and a lift of surprise that makes you react with emotion. If it doesn’t move you it’s not for you – or it’s bad music. There is a reason why there are different flavors of ice-cream. 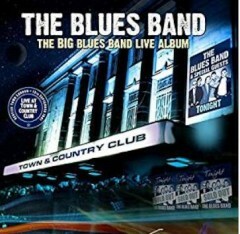 We are currently touring with The Blues Band, and we have a new studio album, which we recorded in July. We are just now talking about the sleeve with the record company. We were hoping that it could be released this year, but it looks like the release is going to be at the beginning of next year. I sing on four songs on the new album, Paul sings on four, and Tom and Gary sing on two each. One of my songs is Skin Game Blues, which was originally recorded in the 60s. We do a rocky version of it on this album, and we are playing it live at the moment. I also do a song that I wrote with Lou Stonebridge, called Hot Dog (Looking for a real cool cat), Muddy Waters’ Still A Fool, and a song called Get Right Church, which has some nice harmonies. So – those are my four. The Blues Band live with Get Right Church in 2017. As a kid my parents had a radiogram with a record player on top. I used to stand on a chair for hours listening to music. My sisters bought rock n roll albums, and I was into skiffle with Lonnie Donegan. I traded my electric train set for a four string guitar. It was of course a tenor, which I didn’t realize then. I didn’t know that guitars had six strings, but the four-string suited my hands better at the time. I got a tutor from the jazz scene, but he didn’t teach me any chords. I wanted to sound like Chuck Berry. I met someone through my sister who helped me with the skiffle basics. My sister Jo Anne and I played and sung together, and we usually won the talent contests we were in. Bob Dylan came on the scene and I had already heard Woodie Guthrie. I took the journeys of the discs, to a record shop in central London, which for example sold transcription discs. That shop was a honey pot for local musicians, and everybody used to come there to congregate. I heard Robert Johnson’s music. I went to see The Stones. I learnt to tune guitars through chords, and picked that up in a day.. It is a classic era for me. I don’t really have much to do with the British music industry. There are small labels of course. We are with a German company. Germany is a good market for us and for me solo. Last year we found some tapes from a show we played in 1991, with a fifteen piece band, and we released it as a double CD this year (“The Blues Band – The Big Blues Band Live Album”), on our label. I think that it was originally recorded for radio. I also worked solo in Germany. 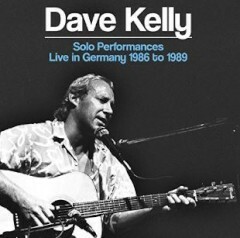 My sound engineer revealed to me that he had recorded all my gigs in the 80s there, so I released some of these recordings as an album (“Dave Kelly Solo Performances Live in Germany 1986 to 1989”) last year. I do quite a few solo shows, and I am working with Maggie Bell in April and October next year - and with Christine Collister over the summer. I am slowly recording my new solo album, which will have a lot of instrumental music, and it won’t all be blues. 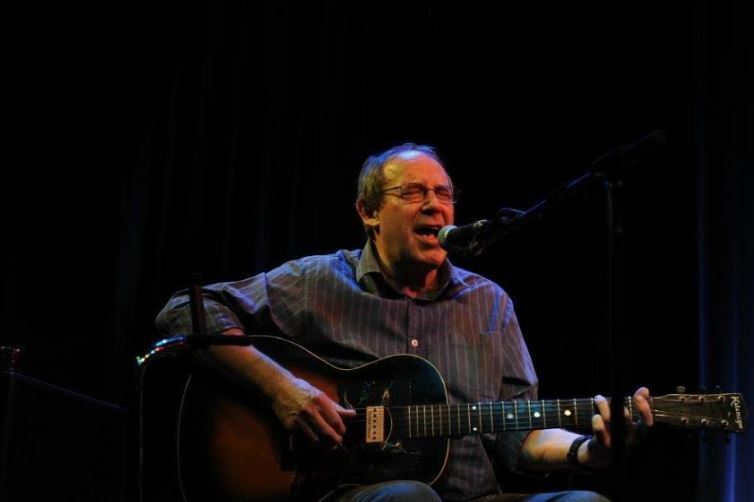 Dave Kelly is a blues singer, guitarist and composer, with a large back catalogue of solo albums to his name, and one of the members of The Blues Band, which was formed in 1979 and have been going since. Note: We never heard from Dave Kelly on an okaying of this text. It is what was taken down during our talk with Dave Kelly. This is unlike ALL the other texts on this site, which were either written by the artists in the articles and/or edited/okayed by the artists in the articles. We did hear from Dave Kelly upon sending him the article stats though, so he didn't seem to have any reservations to the text. It is just different to all the other material here, which is why we make this note.